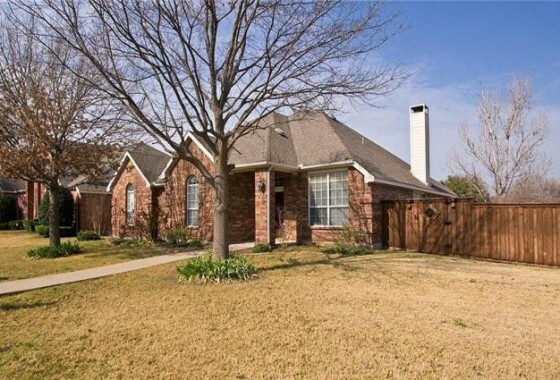 Reverse Mortgage for Purchase in Texas. Home buyers 62 years of age or older are now eligible to purchase a Texas primary residence and make no payment for life. What better way to enjoy your retirement than in your own comfortable home with very flexible payment options. 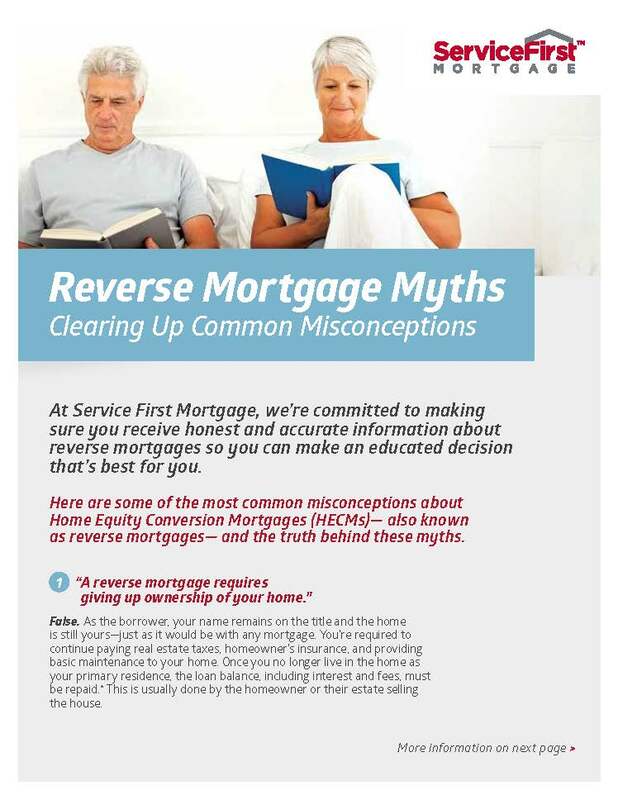 Texas home owners are not the only people eligible to purchase homes with Service First Mortgage’s Reverse Mortgage For Purchase program. Currently we offer Reverse Mortgage For Purchase in Florida, Arizona, Ohio, Kentucky, and Oklahoma. It easy really, you bring in a down payment based on your age and make $0 Mortgage Payments FOR LIFE unless you want to make payments. You still have to pay for taxes, insurance and keep the home well maintained. You don’t have to pay cash for your next home and you can conserve your liquid assets for other things. You can even access a growing line of credit that you can use for future expenses after owning the home for 12 months. This option is based upon the initial loan amount you request. Normally, if you put 60% down, this option is available to you. Working with a HUD Approved lender saves you time and money. As a reverse mortgage lender, our goal remains simple; to offer the very best terms accompanied by extraordinary customer service. Our Reverse Mortgages for Purchase are government insured for loans up to $625,000. President Ronald Reagan signed The Housing and Community Development Act of 1987 into law which makes this program possible. You will always retain ownership of your home as long as you pay your taxes and insurance. Your heirs will inherit your home, just like a regular mortgage, they will just pay off the balance when the home is sold which must occur within a specified time frame under a reverse mortgage. Just like a regular mortgage, you need a Pre-qualification. Call locally at (214) 945-1066 or toll Free (888) 419-0706 for a face to face appointment or telephone pre-qualification. 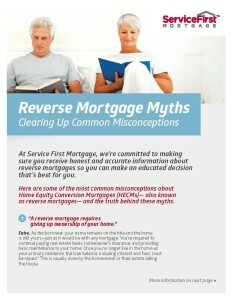 We will issue you a prequalification letter which outlines the reverse mortgage process and is somewhat similar to a prequalification letter that many sellers require. Keep your down payment to a minimum with The Richard Woodward Team of Service First Mortgage! Lower closing costs equate to lower down payment requirements and better terms over the life of your purchase reverse mortgage loan. We will customize the right reverse mortgage to suit your needs. Our customer testimonials prove our history of bringing you excellent service and peace of mind throughout the reverse mortgage process. We work with the best Realtors, Title Companies, and Insurance Companies to provide you an even better value. If you are 62 years or older, the Home Equity Conversion Mortgage (HECM) for Purchase Loan can help you buy your next home without required monthly mortgage payments. * The HECM for Purchase is a Federal Housing Administration (FHA) insured home loan that allows seniors to use the equity from the sale of a previous residence to buy their next primary home in one transaction. Since monthly mortgage payments are not required, a HECM for Purchase Loan may help preserve your hard-earned savings and improve cash flow. You may not need to dip into annuities or savings that could be taxable income. You will continue to own and maintain the title of your home for as long as the property remains your primary residence and you continue to meet the obligations of the loan.